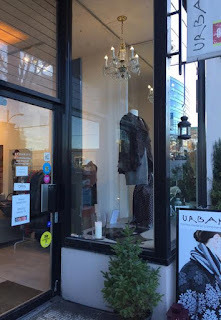 Urbanity, a hidden-gem boutique tucked into Vancouver’s South Granville neighbourhood, comes as a bit of a surprise. Few would expect such a diminutive store to pack such a large fashion punch. In fact, the place is a veritable emporium of high style and international flair, showcasing top-quality textiles from independent producers from around the world. Urbanity’s wares include everything from clothing, and blankets to assorted accessories. Shop owner Julia Manitius is a textiles specialist who grew up in Montreal. She spent 28 years as a studio potter and a textiles instructor in Denmark before moving to Vancouver, a city that she says, “called her”. She opened Urbanity 12 years ago, initially in Gastown and then she moved it to South Granville, between Broadway and West 8th. But it looks as though the store could just as well be located in the Marais district of Paris. Interestingly, Julia’s retail inspiration has less to do with the latest fashion trends than an awareness of and concern for materials, quality and unique design. She cares about the fibers! That makes this store special. Some of what she sells can be found nowhere else in North America. My Los Angeles cousin shops Urbanity, browsing the store’s website, then phoning or emailing her order and having items shipped to her. Over the years, I have purchased several of Oleana’s stunning wool and silk sweaters, from Norway, and a McVerdi raincoat, from Denmark. I bought a wear-everywhere wool coat dress about five years ago that just refuses to wear out. The styles absolutely endure and, despite frequent wear, the garments remain pristine. I have a pile of shawls and scarves in my closets but because the fabrics at the shop – all natural and easy care -- are so unique, I have not been able to resist buying Julia’s scarves. I never knew what a wrist warmer was until I bought a pair at Urbanity and now, will never be without this uber-cozy piece of winter apparel. For spring, Julia has brought in some wonderful linens from McVerdi (http://www.mcverdi.dk/), Japan’s Fog Linen (http://www.foglinenwork.com/) and Sweden’s Nygardsanna (http://www.nygardsanna.se/), that can be worn either penguin-crisp or all wrinkled and crinkly. (See the attached photos.) As a buyer, she has an amazing eye and the rest of us get to benefit from her fine sense of taste and design knowledge. Barbara Yaffe is a longtime print and broadcast journalist who has lived, and shopped, from one end of Canada to the other. 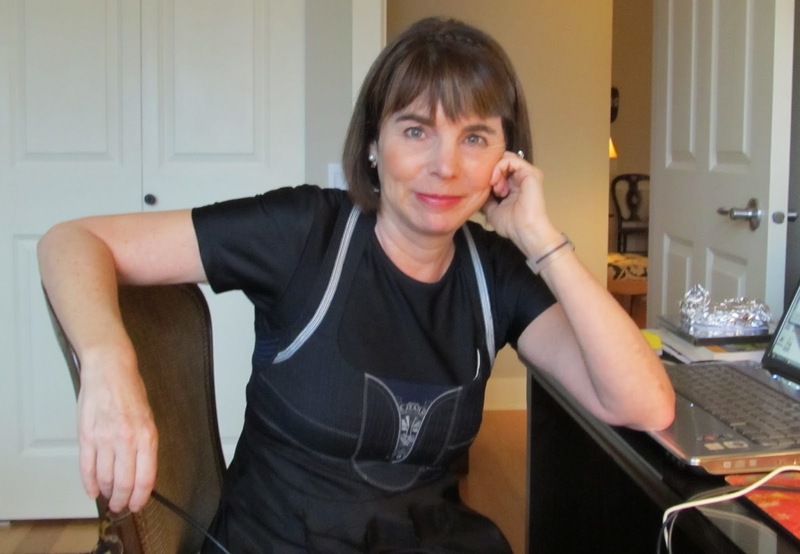 She has worked for CBC National TV News, The Globe and Mail, Montreal Gazette and Vancouver Sun. Now retired, she is living happily ever after in Vancouver, with her dog Chip and cat Pansy.